This article will go over how to look up a reply that the customer sent you in CaterZen account. All emails that are sent through CaterZen will not only send the email to your regular email account but it will also send it to your CaterZen account. The email will be attached to the original email that you sent. 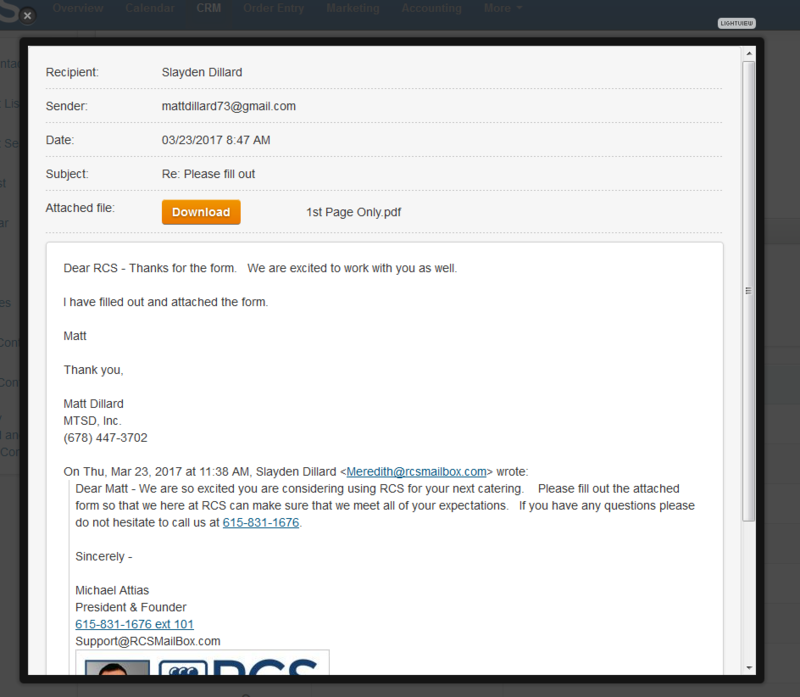 1 - Here is a screen shot of the email appearing in your regular email account. 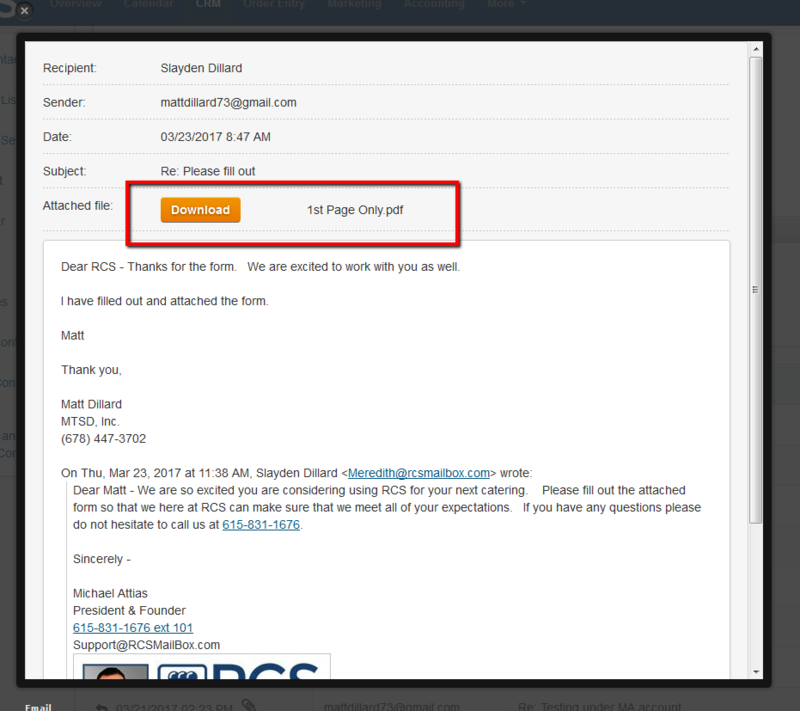 2 - In CaterZen click on the CRM tab - look up the Customer and click on the Client's Name. 3 - Click on the Gmail icon. 4 - Scroll down and look for the original email. 5 - You should see an Arrow pointing to the left. 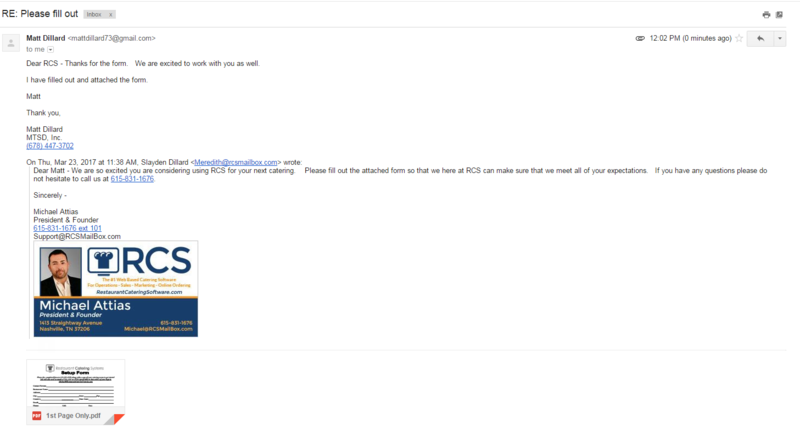 This is showing you that a reply has been sent to the original email from the customer. Note if there is a paper clip icon this means the client has attached something to the email. 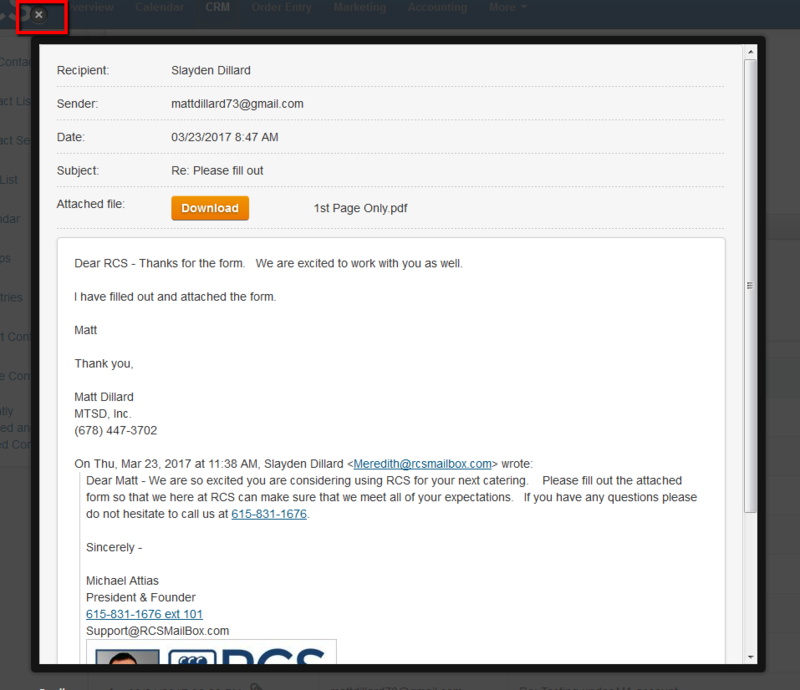 6 - You can view the email by clicking the View icon found under the Action column. 7 - To view the attachment please click on the Download tab. 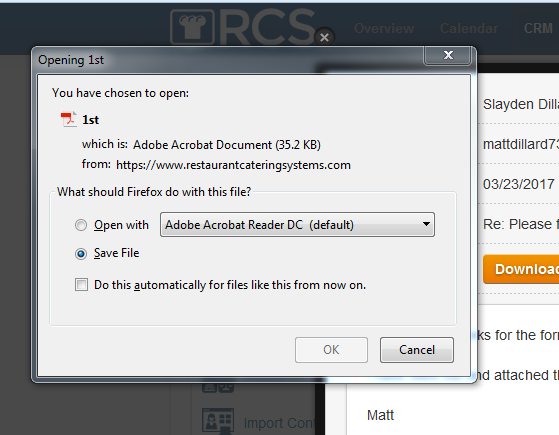 8 - Your file will download you and can then open the file how you choose. 9 - Once you are down reviewing the email click on the X icon in the top left corner to close out. You have now learned how to look at a reply the customer has sent when emailing through CaterZen.